Evan is an associate in the firm’s Employment Litigation and Counseling group, where he concentrates his practice on advising and advocating for clients involved in workplace disputes. He regularly appears in state and federal courts across New Jersey in matters involving wrongful termination, discrimination, reasonable accommodation, harassment, retaliation, breach of contract, and restrictive covenants. In this capacity, Evan has played a key role in obtaining high-profile jury verdicts and numerous favorable settlements for the firm’s clients. Evan is active in the employment bar as a member of the New Jersey Chapter of National Employment Lawyers Association. Prior to joining the firm, Evan was a recipient of an Equal Justice Fellowship, during which time he worked in the Office of the General Counsel at SEIU Local 32BJ — one of the foremost labor unions in the country advocating for employee rights. 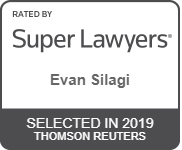 During law school at Georgetown University, Evan distinguished himself scholastically, graduating with honors, and was a senior member of the Tax Lawyer, an American Bar Association publication. Evan served as an intern for the Honorable Michael B. Kaplan in the United States Bankruptcy Court, District of New Jersey. 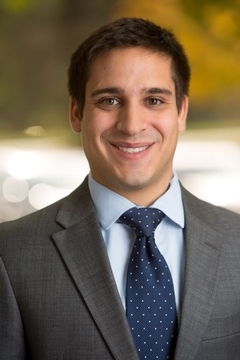 In addition to employment matters, Evan has a broad range of litigation experience encompassing trusts and estates litigation, personal injury matters, and commercial disputes.